We spent 25 hours play testing, reading other reviews and user feedback to find the ideal monitor for gaming. 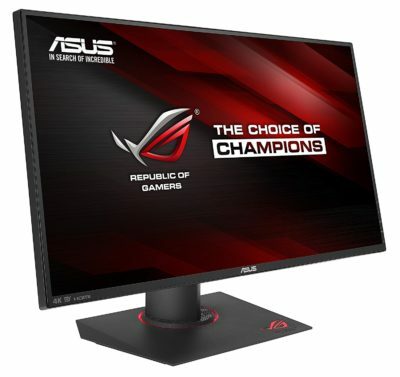 What we found is that there isn’t really one solid pick for everyone, but if you were to ask us in general which one monitor we would buy right now, considering most people have nVidia video cards, it would be the Asus PG278QR, which is actually greater than 144Hz monitor, with a 165 Hz refresh rate with Gsync at 1440p resolution. Our pick – The best 144Hz monitor for most people is the PG278QR for its super fast panel, good colour representation, and great build quality. At $615 at the time of this writing, it’s not the cheapest or most expensive monitor on the market but gives you all the features you would want without any major drawbacks or quality control issues. At 2560 x 1440p at 165Hz, this TN panel, Gsync monitor provides a great picture with excellent motion clarity for cinematic or twitchy competitive gaming. 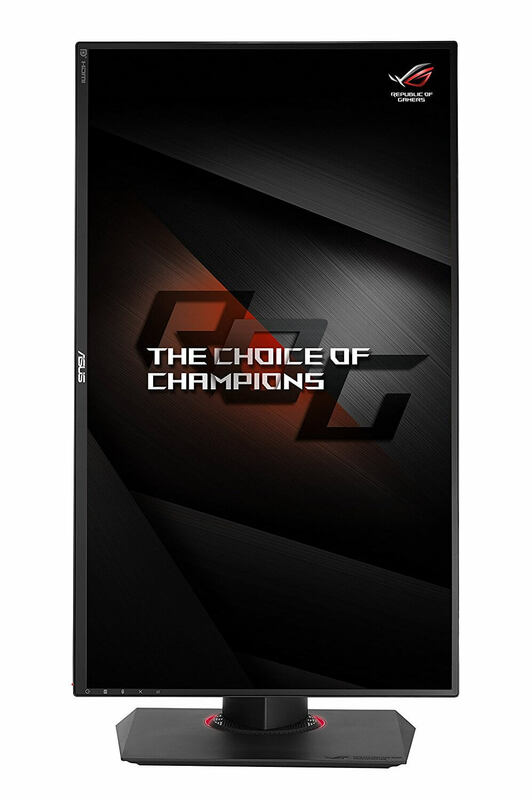 The PG278QR packs all the options and features that a gamer would want. 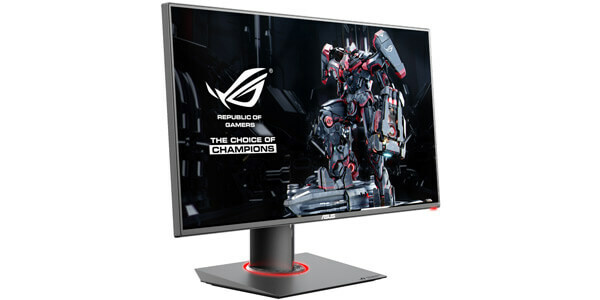 If you’re on the red team then the Asus MG278Q with Freesync is the monitor for you, with a slightly slower, but still very fast, 144Hz refresh rate for $440. What really you’re not recommending an IPS display!? Yes that’s right, this is because the PG278QR is a high quality 8-bit TN panel, the gap between this TN and isn’t IPS isn’t as large. If you care a lot about colour accuracy and viewing angles the Asus PG279Q is the IPS brother to the PG278QR and by all means it’s a great monitor for gaming. This monitor still features a fast 2560 x 1440p 165Hz monitor with better colour and viewing angles than the PG278QR. To get that better picture quality you have to be okay with a slower pixel response time which means you’ll get a slightly blurrier motion picture and at least a $125 premium ($749). On top of that, we’re not confident in this model’s quality control with the PG279Q plagued by IPS glow problems, and a recall of the monitor in 2016. The place where you’ll notice a picture quality difference is in contrast and darker scenes, but other than that, if you’re sitting dead-on with this TN panel you’ll get just as good picture quality. Watch this video for an explanation. Of course if you’d like to decide for yourself, at least take a look at our what to look for in a monitor post to make sure you’re considering all aspects. If you’re a gamer, then yes, 144Hz is worth it. 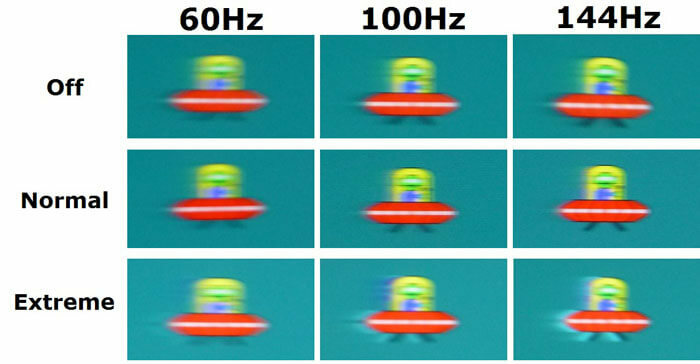 Hz or Hertz represents how fast your monitor refreshes in one second, so 144 Hz = 144 refreshes in one second. A high refresh rate allows the monitor to keep up with the higher fps that video cards can render at, providing a much smoother and higher fidelity output. This is especially important for twitchier games, you want as much visual information as possible, as quickly as possible. It’s a bit difficult to describe in words but once gamers use a 144Hz monitor it’s very difficult to go back. Generally, what you get with a 144Hz monitor is better motion, less screen tearing and more responsive gameplay. 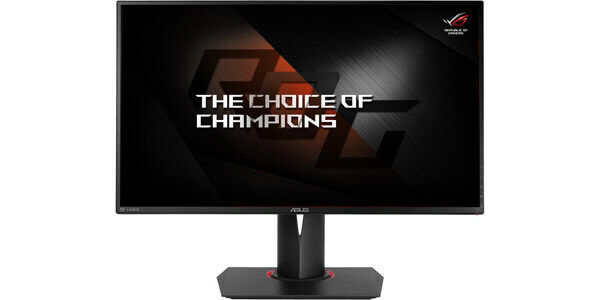 We picked the Asus PG278QR because it packs the all the features and qualities of great monitor for a reasonable price. It has a great resolution and colour for more cinematic games while still providing some of the greatest motion clarity in a monitor for twitchier games. There are certain monitors that are better for specific preferences, but for our money the PG278QR covers all preferences very well. The PG278QR has a great 8-bit TN panel that covers 100% of the sRGB spectrum, with colours that are pretty accurate straight out of the box. What all these fancy terms mean is that this monitor is going to represent colours well for gaming. Blacks are black with no significant banding issues at all. It’s not colour accurate enough content creation, but you can be confident that you’ll get the right shade of blood that the game designer intended. TFTCentral has a great review on the black depth, colour deviation and contrast ratio of the PG278Q which shares a similar panel to the QR. Response and motion are where the PG278QR’s strengths lie, with a 165Hz refresh rate and 1ms (GtG) response time, this monitor is one of the smoothest you can get. IGN called the monitor’s clarity in motion nearly perfect. The monitor also comes packed with ULMB option to push clarity even further, remember that you have to sacrifice Gsync to achieve even lower blur levels. Another thing to remember is that all adaptive sync technologies add a bit of input lag, it’s not a huge factor in most gaming situations except for the twitchiest of esport games. DisplayLag found no input lag at all with the monitor when comparing to the BenQ Zowie RL2455, which is good considering Zowie monitors specialize in low latency and blur specifically. Asus monitor’s don’t really have a rival here, their monitors have the high quality buttons, control and on-screen display of any monitor. Everything is easily accessible and switchable with responsive buttons and a joy stick for up/down/left/right movement. 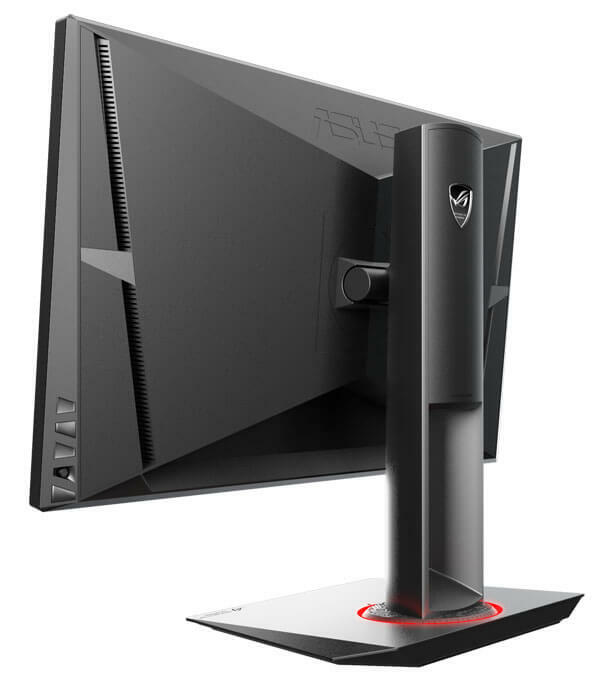 If the stand isn’t your thing, the monitor supports standard VESA mounting for monitor arms. The screen has a matte coating, which is usually preferred compared to a glossy variant. The back of the monitor is matte black with some ventilation grills. The PG278QR has two input options, DisplayPort 1.2 and HDMI 1.4. These monitors are specifically designed for PC use, DisplayPort is the only connection that can utilize the 165Hz refresh rate, while the HDMI is useful for a secondary laptop connection or console if necessary. The downside of using this monitor for console use is that the monitor will have to downscale from its 1440p resolution to 1080p causing some blurring of the overall picture. If you’re specifically looking for a monitor for console or want a monitor to do both PC and console well, we suggest those monitors in our other picks section. A USB hub and 3.5mm jack are available for your USB devices and headphone if you want to use them as well. 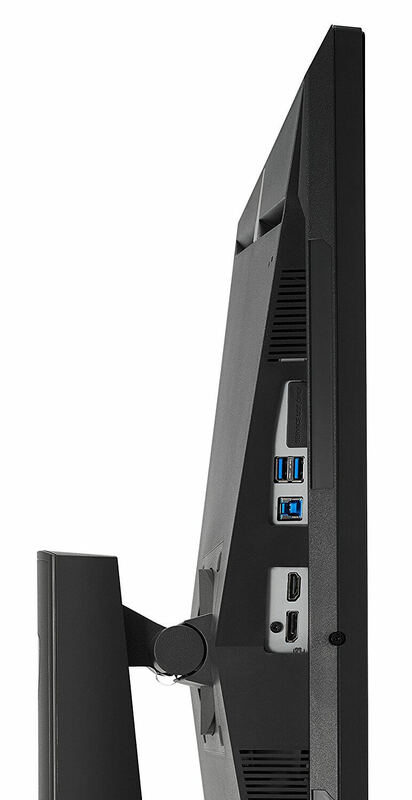 The stand has all the tilt, swivel and rotate features you would expect, with a strong, non-wobbly hold of the monitor. The bezels measure in at a narrow 6mm, which makes it great for a side by side monitor, but, do keep in mind that this is a TN panel so unless you’re looking at the monitor straight ahead you will get some colour shift. The PG279Q is a better option for dual monitor use, it has the exact same thin bezels. This monitor is relatively new but its predecessor, the PG278Q has a lot of fans. IGN gives the monitor a 9.3/10 calling the QR the gaming trifecta: G-Sync, high resolution and an awesome 165Hz refresh rate. Monitor Nerds gives the PG278QR a 4.9/5, saying that is further bridges the gap between TN and IPS. With the Asus PG278QR being a TN panel, you’ll have to decide whether the limited viewing angles are important to you, if you sit dead center in front of the monitor you’ll get an image quality that’s nearly as good as an IPS monitor. Runner Up – The PG279Q has a super fast IPS panel with great colour reproduction. It’s great as long as you’re comfortable with potential IPS glow. The biggest flaw with any monitor, is that not all panels are uniformly the same, it’s one of the reasons why the IPS PG279Q couldn’t be our recommendation with reports of rampant IPS glow and backlight bleed. The PG278QR doesn’t have an IPS panel so it doesn’t have to deal with IPS glow, some people have reported getting essentially perfect displays with no backlight bleed or clouding, while some have gotten monitors with at least some clouding. The AW3418DW is currently the only 120 Hz Ultrawide panel readily available, plus it’s an IPS! The best ultrawide monitor for gaming available now is the Alienware AW3418DW. 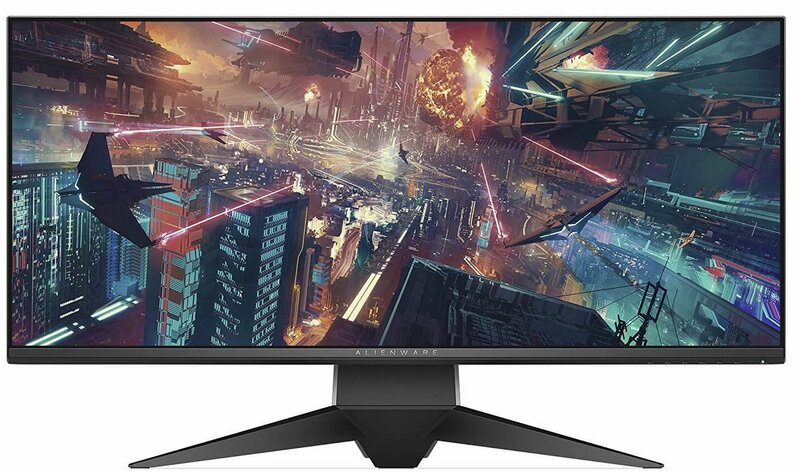 This is a no-brainer, with panel advancements coming really late in 2018, if at all, the Alienware monitor is the de-facto ultrawide on the market today. If you’re looking for one, this is it. The Alienware essentially packs everything you’d be looking for in a good monitor for gaming, good colour with 99% SRGB coverage, 120 Hz refresh rate with G-Sync, 3 ms GTG response time for low input lag and puts it altogether in a great form factor with build quality and stand. The LG 34UC79G-B is a great option for AMD/Freesync users with a 2560 x 1080 panel with a 144Hz refresh rate. It’s currently the highest refresh rate ultrawide monitor currently available. The Viewsonic XG2402 has a 1080p 144Hz monitor with freesync, as far as TN panels go, this is one of the better ones. 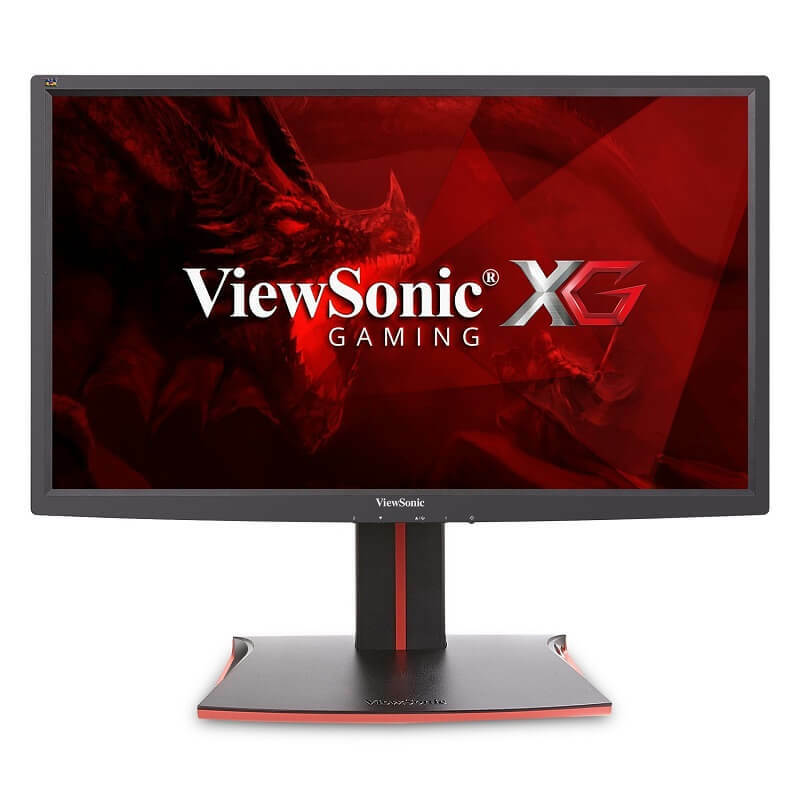 The Viewsonic XG2402 is a 24 inch monitor that packs all the modern features of more expensive gaming monitors for $250. The Viewsonic has an excellently calibrated TN panel out of the box you can get at this price point. If you have an AMD card, and are looking for a 1080p monitor that doesn’t break the bank, you likely won’t do better than this. The monitor has some standard red “gaming” styling, the monitor has all the included tilt, pivot and VESA mount options so getting the XG2402 to sit properly on your desk shouldn’t be an issue at all. Ports are all fairly standard: DisplayPort 1.2, an HDMI 2.0 and HDMI 1.4 slot, and three USB 3.0 ports. A nice side benefit if you really want to save money, the Viewsonic monitor also comes with some tiny 2W speakers along with a 3.5mm audio pass through. Of course, we’d recommend heading over to our headphones post to get some better audio, but the monitor will provide audio if needed. There isn’t what we would call a great gaming 4k monitor yet, but the best available right now is the Asus PG27AQ. The 27 inch monitor has the same great build and bezel as the PG279Q, with a whopping 3840 x 2160 with a 60Hz refresh rate with GSync. The 4k panel has an 8-bit panel that produces an okay contrast rate for an IPS panel with decent colour representation, it covers 100% of the sRGB spectrum. With a 4ms response rate the PG27AQ does a respectable job of displaying motion. Of course you get a really high quality resolution with great pixel density and clarity during gameplay. Some monitors come out with great colour representation out of the box, but many monitors require some calibration to get it as accurate as possible. Before calibrating any monitor, make sure to let it warm up for 30 minutes. We recommend using the LCD monitor test images provided by lagom.nl to eyeball calibrate your monitor. The Lagom test pages give you an image and instructions to calibrate against similar to how you set black level in games when you first start them. Obviously, an eyeball calibration will not be perfect, you’re essentially guessing whether or not certain settings look correct. TFTCentral has a database of pre-calibrated monitor profiles for each and every monitor model. These calibrations usually are done with hardware calibrators so they’re going to be colour accurate for certain situations. Each monitor panel is different, so while the ICC profile might be perfect for one person, it might be slightly off in another just due to the nature of panel variance. Another thing to consider is that depending on the lighting in your room the colours will look slightly different. The surefire(and most expensive) way to get 100% perfect colour is to purchase, or rent, your own colour calibrator and get adjustments for your specific panel. 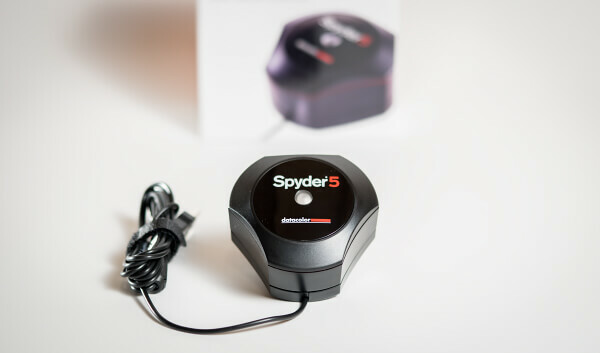 We recommend the Spyder5Express as the entry point into calibrators at $103, the only thing it lacks is a brightness calibrator compared to the more expensive models, this is something you can reasonably eyeball. These are great tools to confirm everything is working well with your monitors. Dead pixel buddy is a simple website, it used to be a downloadable, that fills your screen with solid colours so you can detect whether or not you have any pixels not firing certain colours, really handy tool for detecting dead pixels. Blur busters has a suite of tools that let you check for things like your monitors actual refresh rate performance and if your monitor is skipping any frames on an overclocked panel. 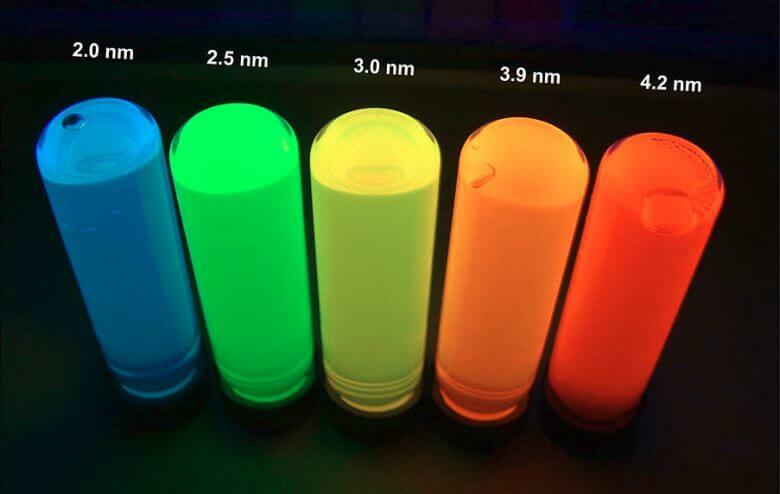 Quantum dots are a new backlighting technology that replaces traditional LED panels. They’ve been around in TVs for a while and are starting to head to monitos with the announcement of Asus’ new PG27UQ. To put as simple as possible, the quantum dot backlighting emits a purer white than led backlit monitors, what this allows for is a brighter picture, more contrast and better colour representation. Not much explanation needed for 4K/144Hz if you’ve read the rest of this entire post, previously the connectors on video cards and monitors didn’t have enough bandwidth for 4K at 144Hz refresh rate. With DisplayPort 1.4, this becomes possible and the PG27UQ and Acer XB272 are both going to bring 4K/144Hz this year, of course you still need a ridiculous gaming PC to drive that kind of resolution and refresh rate. 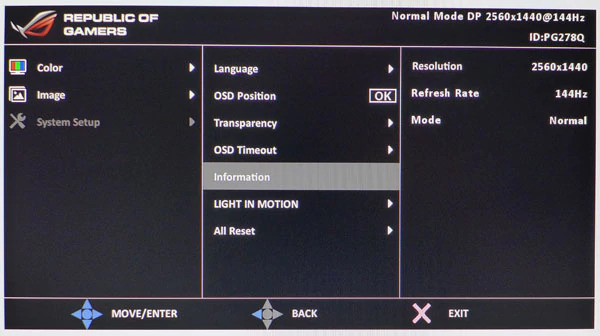 A local dimming capable monitor turns off the backlight for dark areas in a picture, this allows for higher contrast levels compared to monitors that keep their backlight on in all scenes. We have seen TVs with local dimming but monitors right now are edge lit with no ability got local dimming. This is changing with the Asus PG27UQ and Acer XB272 both bringing local dimming in 384 zones. These monitors are set to release sometime in 2018, but we’ve seen these displays delayed for quite some time. OLED (Organic light emitting diode) is the crown jewel of display technology at the moment and there doesn’t seem to be any upcoming monitors that will utilize OLED. 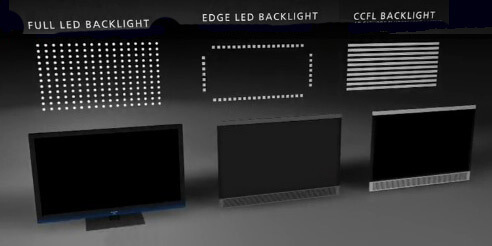 OLEDs are essentially pixels that are individually lit to produce any colour by themselves. What this means is, because there’s no general backlight, the monitor simply turns off a pixel to product dark rich blacks. It’s the display technology that produces the most vivid and colour accurate picture. OLEDs already exist on phone screens like the Samsung Galaxy S8, but it doesn’t look like gaming OLED in the near future considering we’re just starting to get quantum dot and local dimming.